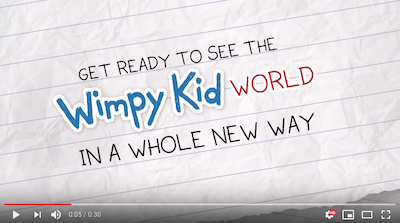 For the first time ever the latest book from internationally bestselling author Jeff Kinney will be written from the perspective of Rowley Jefferson, the best friend of ‘Diary of a Wimpy Kid’ protagonist Greg Heffley. Rowley’s best friend Greg Heffley has been chronicling his middle-school years in thirteen ‘Diary of a Wimpy Kid’ journals … and counting. But it’s finally time for readers to hear directly from Rowley in a journal of his own. In Diary of an Awesome Friendly Kid, Rowley writes about his experiences and agrees to play the role of biographer for Greg along the way. (After all, one day Greg will be rich and famous, and everyone will want to know his life’s story.) But Rowley is a poor choice for the job, and his ‘biography’ of Greg is a hilarious mess. 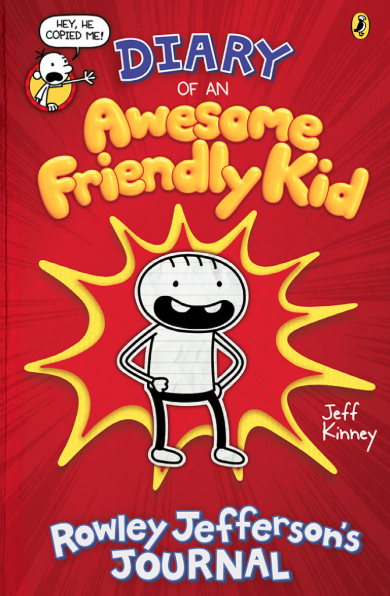 Diary of an Awesome Friendly Kid: Rowley Jefferson’s Journal offers readers a new way to look at the ‘Wimpy’ world—one fans won’t want to miss! 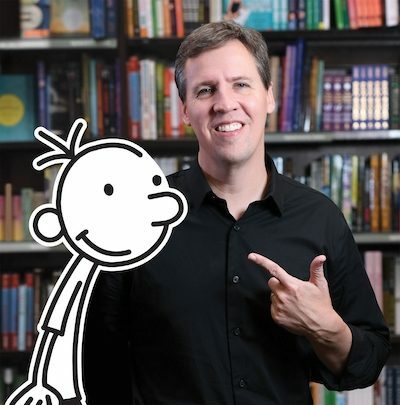 Jeff Kinney is a New York Times bestselling author and a six-time Nickelodeon Kids’ Choice Award winner for favourite book for his ‘Diary of a Wimpy Kid’ series. Jeff has been named one of Time magazine’s 100 most influential people in the world. He is also the creator of Poptropica, which was named one of Time’s 50 Best Websites. Jeff lives with his wife and two sons in Plainville, Massachusetts, where they own the bookstore An Unlikely Story. Want to see how Rowley Jefferson sees the world and his relationship with his best friend Greg Hefley? Then cast your eyes over the exclusive sneak peek of Diary of an Awesome Friendly Kid here.